Happy New Year (almost)! My parents have been in town and we watched Star Wars for the second time. It was still good! You may not be aware that Polish 'M released their winter collection and that's because it was only released at 2 restocks. I only bought 4 of the polishes so I don't have all of them to show you. Also, Michelle just mentioned on Facebook that she is going to change pretty much everything about her company in 2016. There will be smaller number of polishes in collections (2-5) that are not necessarily seasonal, all polishes will be now be limited edition with 1 batch made (30 or 60 bottles), and there will be no more core polishes (all of them will be discontinued in the new year). I'm sure there are more changes, so check Facebook to learn more. I hope this makes everything easier for Michelle. Tonight I have the color Gingerbread Cookies to share with you. It's a grey taupe base with tons of bronze shimmer and multichrome flakes. I think this is a really interesting take on a neutral color. I've never had an issue with the formula on Polish 'M polishes, and this is no different. Gingerbread Cookies only needed 2 easy coats. Have a fun and safe New Years Eve tonight! You can find Polish 'M on their store, Facebook, Instagram, and Facebook Group (which I am a part of!) pages. Hi guys! I know I've been a terrible blogger this past week. With all of the traveling, baking, and wrapping presents, I didn't have the time for blogging. I had a great Christmas, and my parents will be coming in to town tomorrow to celebrate with them. I hope you had a fun and safe holiday season as well. Tonight I have a mystery trio from Philly Loves Lacquer that I've been been sitting on since Halloween. I've known about this brand for years, but for some reason did not get around to buying them until now. Hi guys! Sorry for the lack of post yesterday, but I was at a Christmas party. It was fun, but I got home way too late. 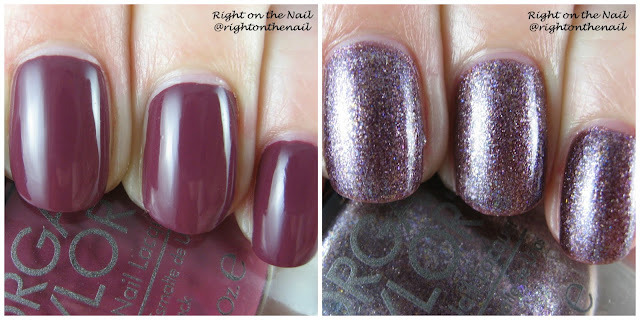 Tonight I have the final 2 polishes from the Gifted With Style Collection from Morgan Taylor. And dare I say, they are my favorite of the collection. Follow me after the break to see more. Hi guys! Tonight I have a limited edition polish from Polish 'M that is unfortunately sold out. Michelle said that she may have it back again next year so don't despair! The 2015 version of Burnt Marshmallow is different than the 2014 version which had less glitter and more of a white base. Here it has an off-white (almost grey?) crelly base with black, brown, gold, and bronze hexagonal glitter and gold shimmer. It really hits those toasted marshmallow notes, right? I, personally, really love burning my marshmallows and eating the outside. How do you like your marshmallows? I find that Polish 'M polishes consistently have a great formula, even those with lots of glitter in them. This somehow only needed 2 easy coats. Hi guys! Unfortunately the polish I have to show tonight is not available anymore (it wasn't around long and was only a part of the Chills & Thrills Collaboration box). 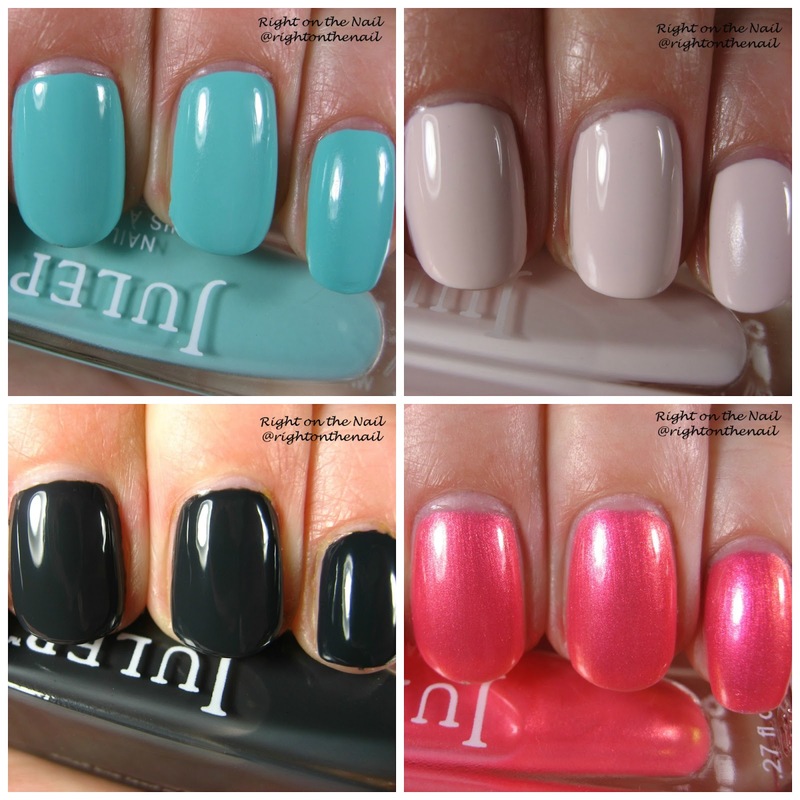 It may be available next year since Michelle tends to bring back popular polishes so keep your eyes out. I bought a couple Polish 'M colors from the Holiday Collection during Black Friday so I hope to have those up on the blog soon as well. Chills & Thrills is a glitter topper with pretty much every size and shape of glitter (hexagonal, circular, moons, stars, triangles, etc.) and a really strong gold flash. The shimmer is sort of hard to see in pictures, but it is really noticeable in person. It is very glitter dense polish, so I found the best technique to apply it was to dab it on. You will need a really thick topcoat and likely 2 coats of it to smooth this out. Hi guys! It's finally Friday! Scraggles is doing much better now, thank goodness. I'm almost finished with the second season of the Great British Baking Show on PBS and I am smitten. It is such a great show. No spoilers, but I want Tamal to win. Anyway, tonight I have the final 3 polishes from the Julep Maven boxes to show you. Let's go, shall we? Hi guys! Scraggles (my little terrier mix) has been feeling under the weather today so I had to take her to the vet. She should be fine, but they had to give her fluids, an anti-vomiting shot, and some antibiotics for her GI tract. Keep her in your thoughts. On a lighter note, I have a ton of old Julep nail polishes to review. You will notice several different nail lengths mostly due to these being applied at various times...I hope you don't mind. Come with me after the break to see what I have in store tonight.